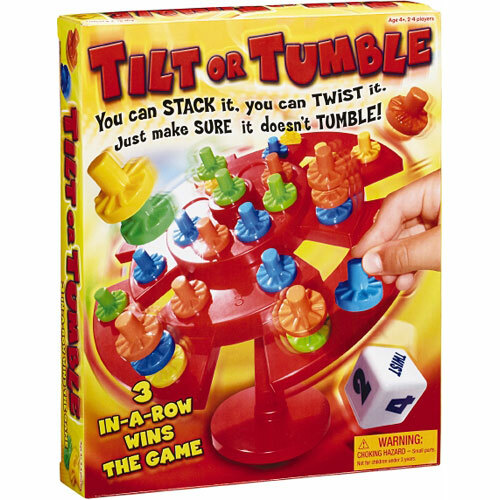 You can stack it, you can twist it; just make sure it doesn't tumble! 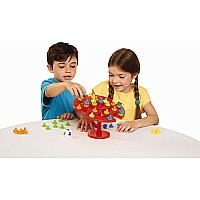 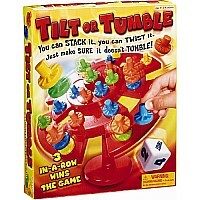 Players roll the die and stack colored game pieces on the wobbly game board according to the die roll, hoping to form 3-in-a-row. As the game is played, more and more pieces are added as players block their opponent's moves or make their own. 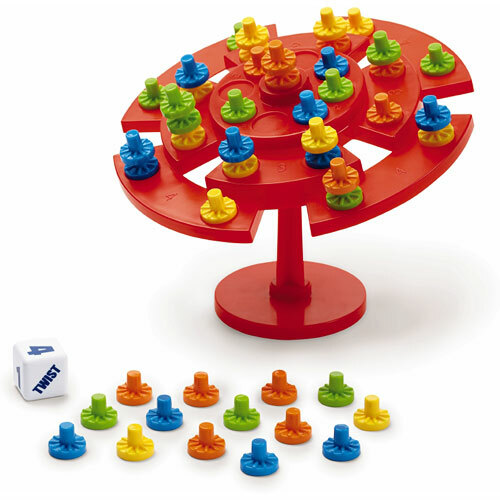 Part of the game board can even be twisted to help player's achieve the ultimate goal form 3-in-a-row without the pieces falling off!